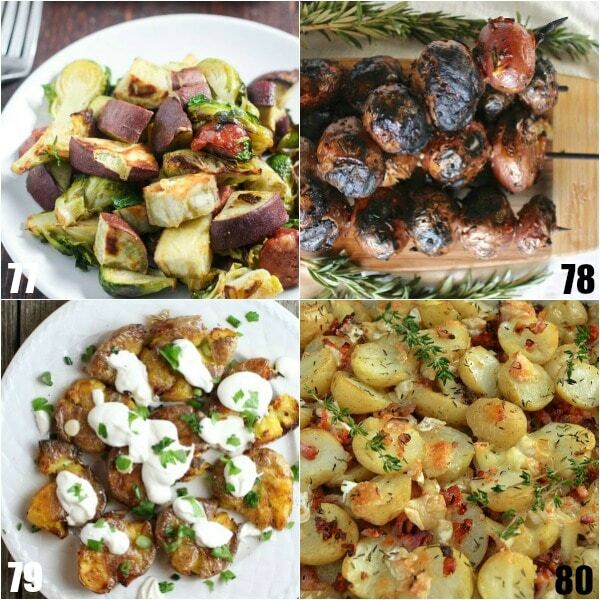 Looking for new ways to serve up your classic favorite? 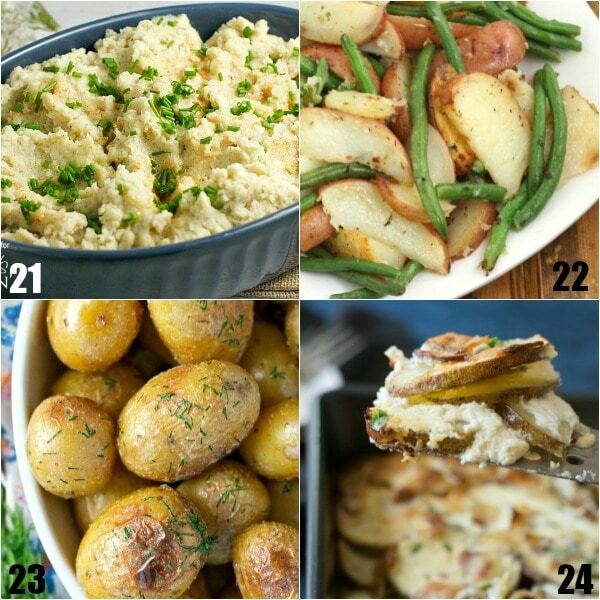 Check out these 92 Potato Side Dish Recipes that are perfect for potlucks, picnics, holidays, and even just family dinner! 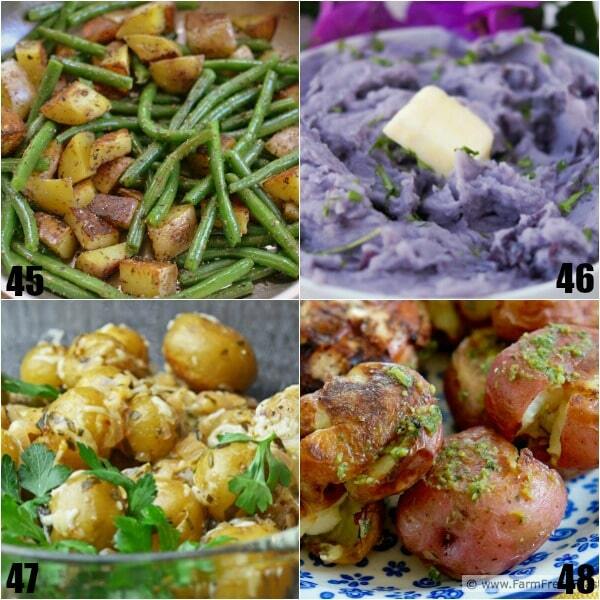 If someone were to ask me what my favorite food is, the answer might be something like “steak” or “ham” or “tacos” (yeah, my taste buds don’t like to make up their minds). 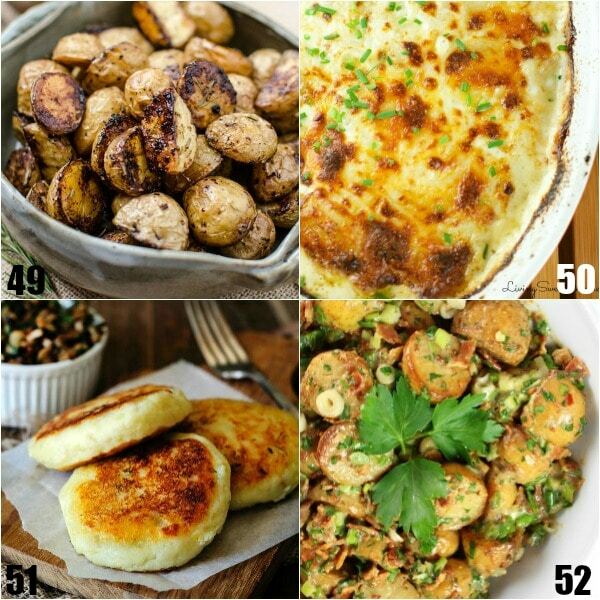 I know for sure, though, that the answer wouldn’t be “potatoes”. 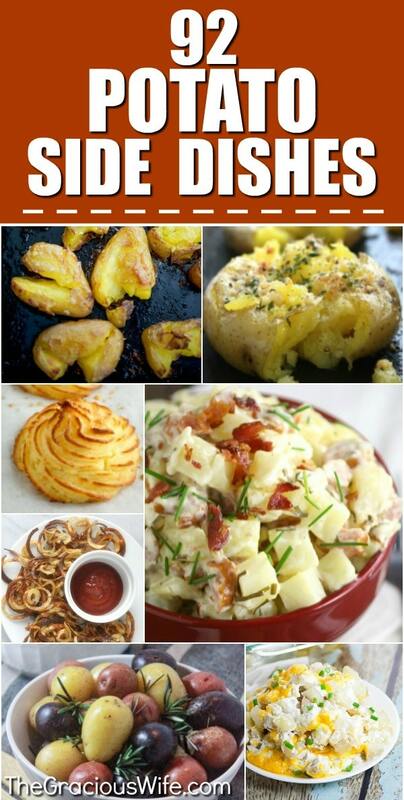 Which, now that I’m thinking about it, is a little odd because I’m fairly sure that potatoes are the only food that have never disappointed me. 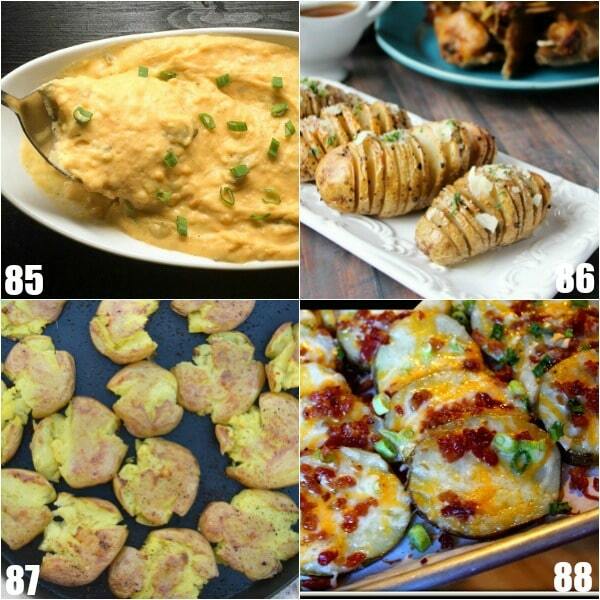 No matter how they’re made, whether mashed, baked, or fried, they always taste good. 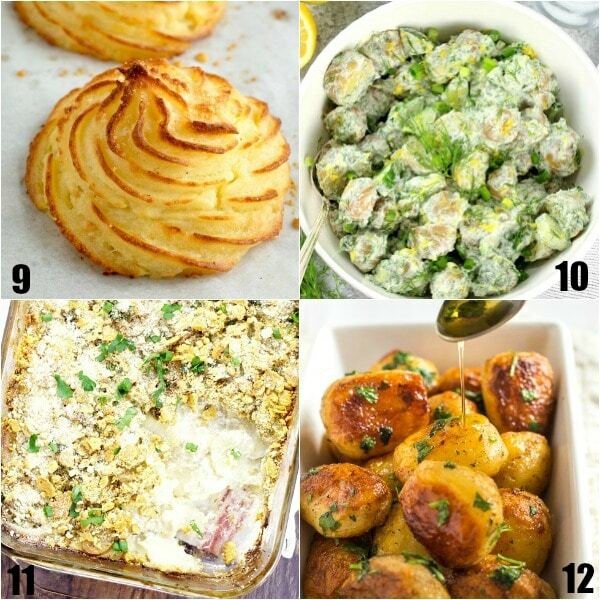 They also pair well with nearly every main dish you could possibly dream up. 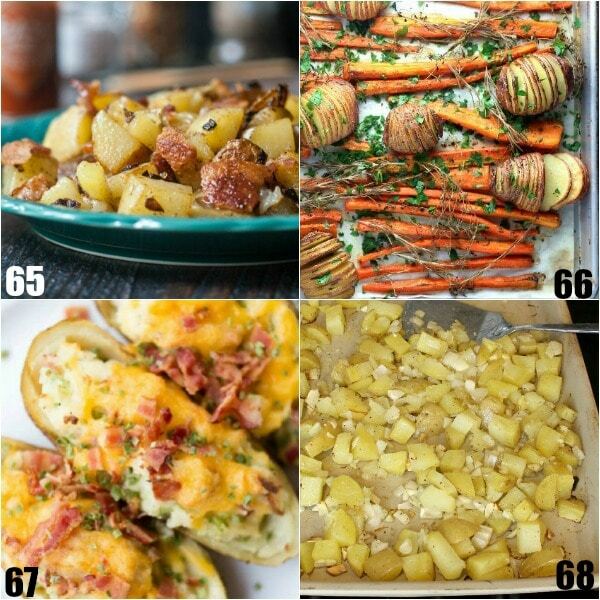 They are, in my opinion, the perfect side dish. 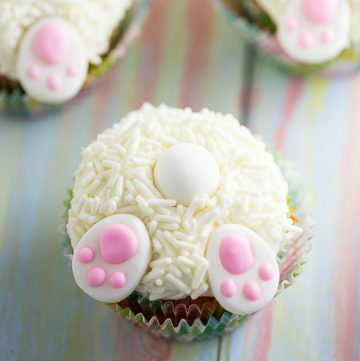 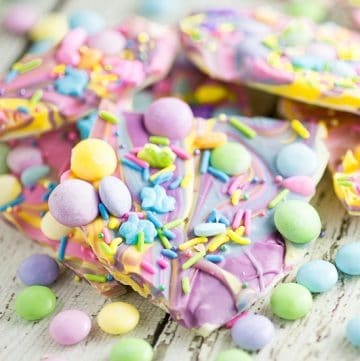 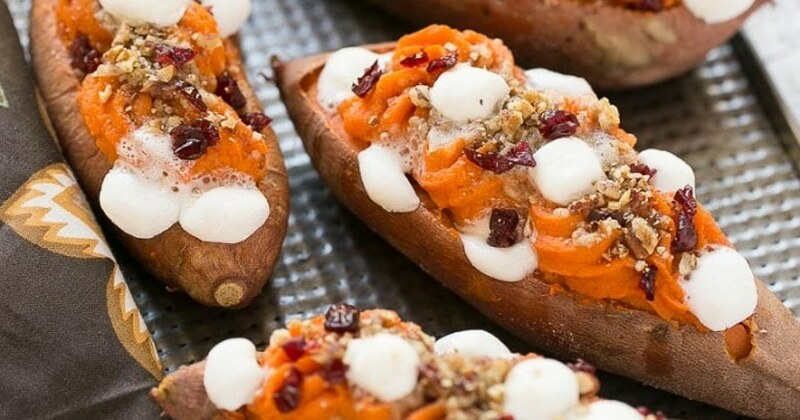 So, while they might not be my favorite food, they’ll certainly be on the table in some form or another when I’m sitting down to eat my favorites. 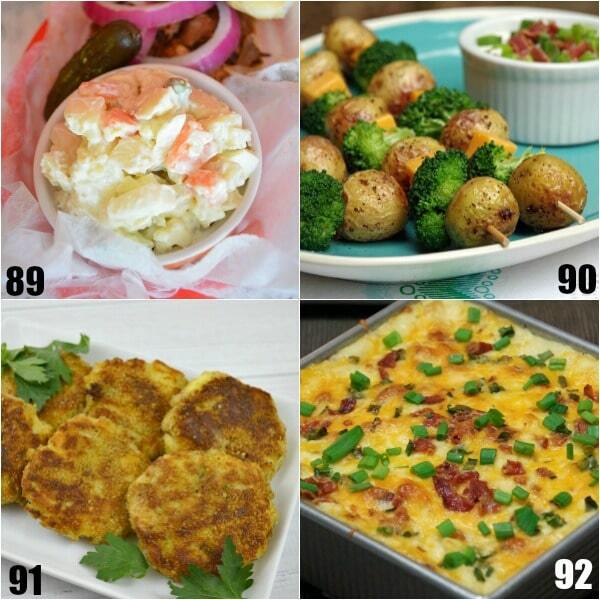 If you, too, like to add potatoes to your meals, you need to check out this list of 96 Potato Side Dishes. 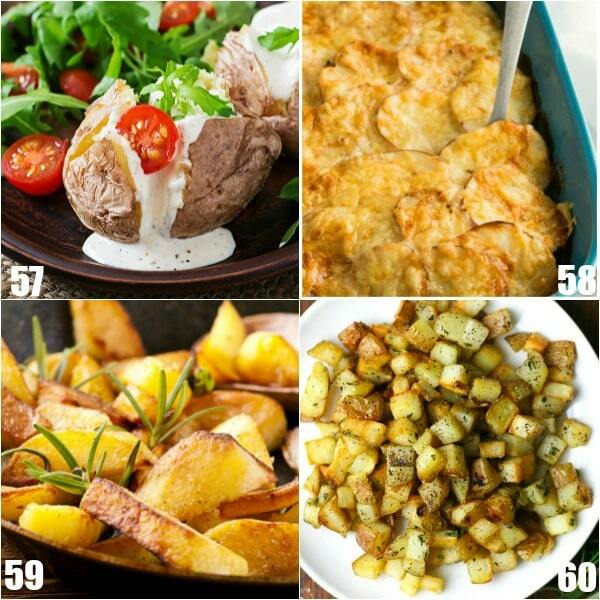 It’s full of great, yummy ways to prepare potatoes, so you can have complete and delicious breakfasts, lunches, and dinners. 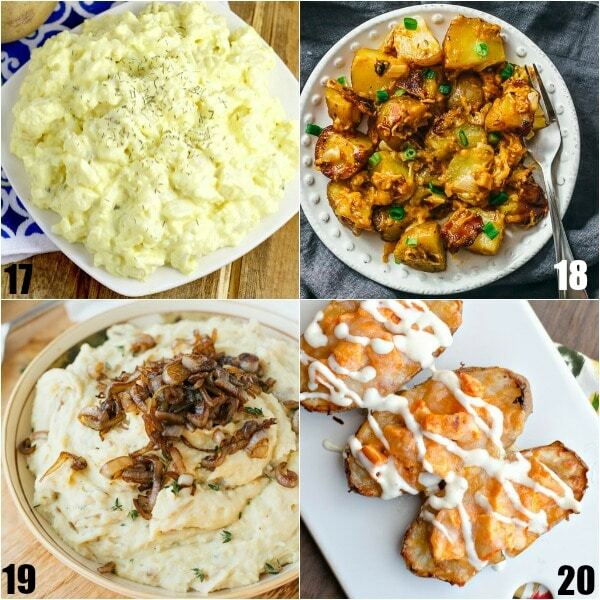 This is the ultimate list of potato side dishes that are perfect for serving with chicken, steak, salmon, barbecue, or even for holidays like Easter, Thanksgiving, or Christmas. 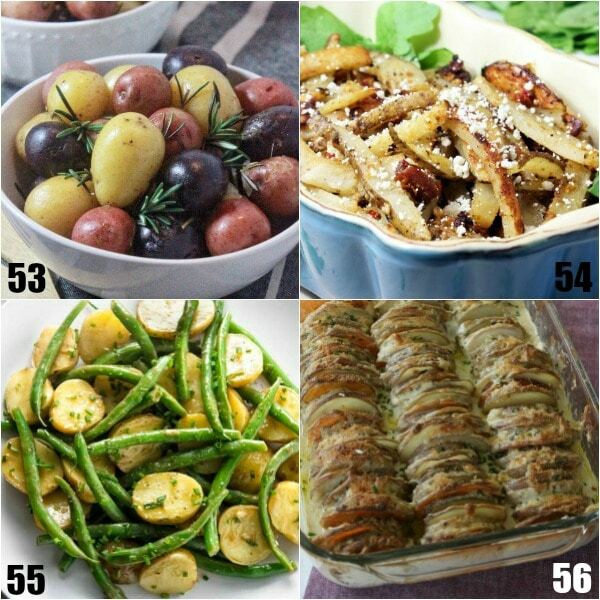 Some of these recipes are baked, roasted, boiled, or slow cooked. 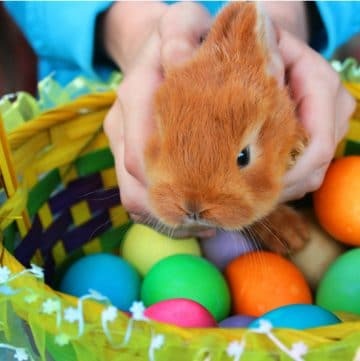 Whatever you’re looking for, you’ll find it here! 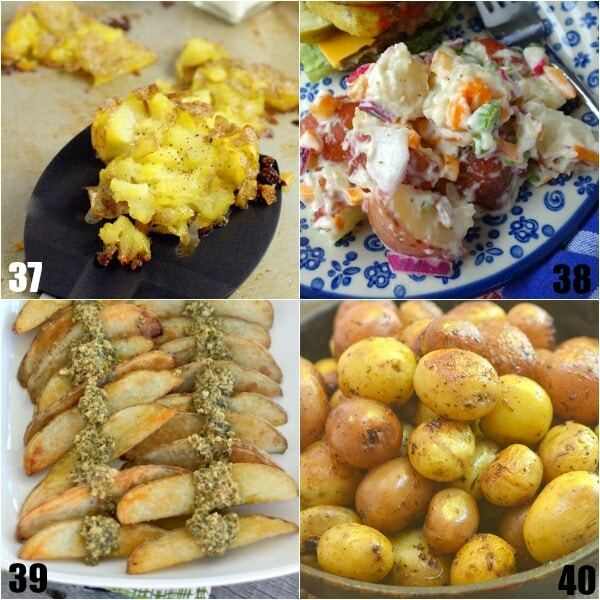 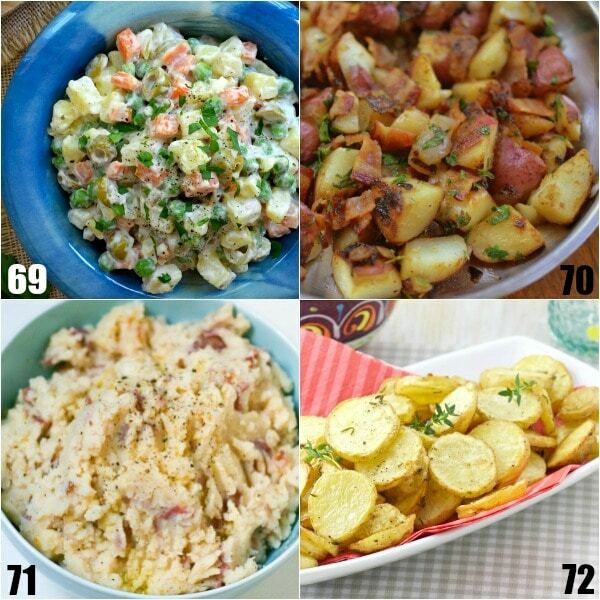 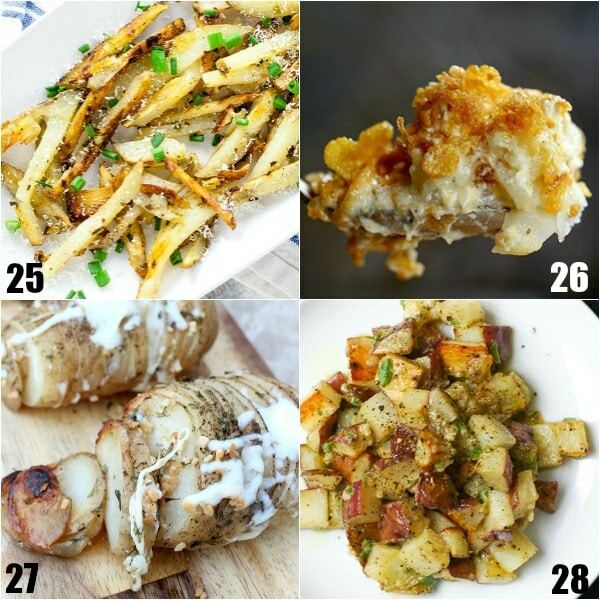 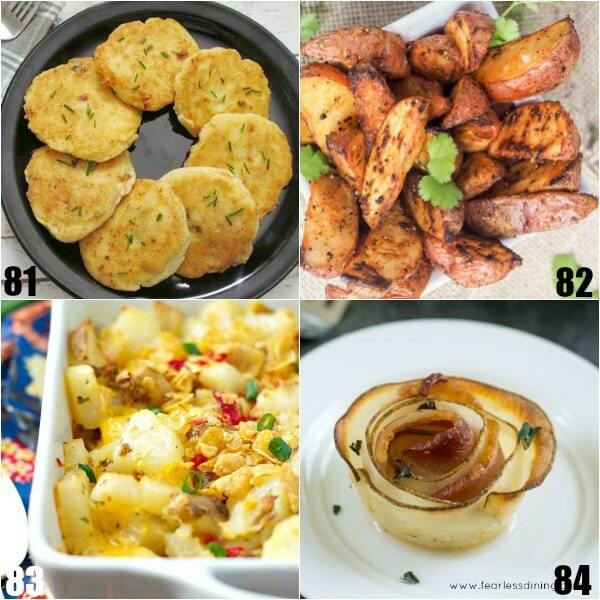 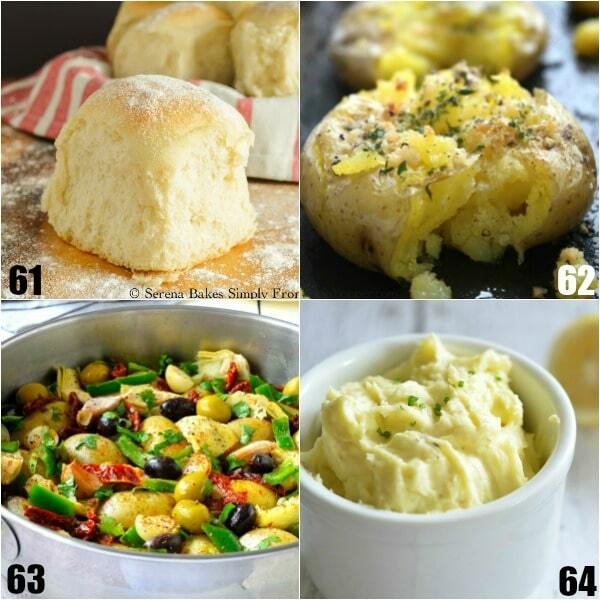 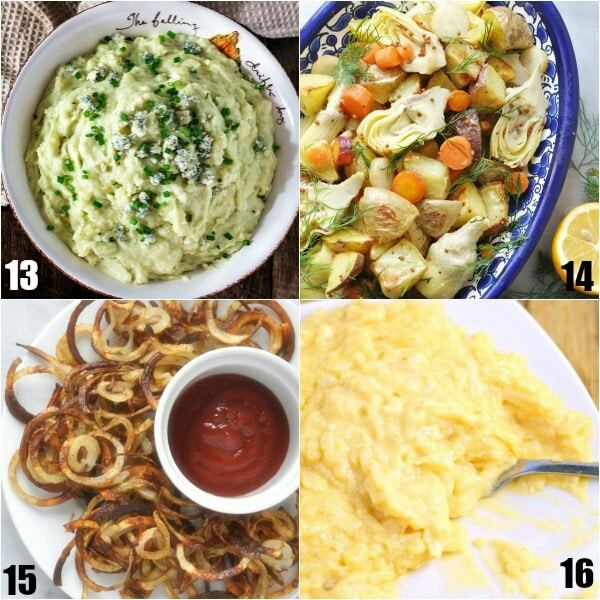 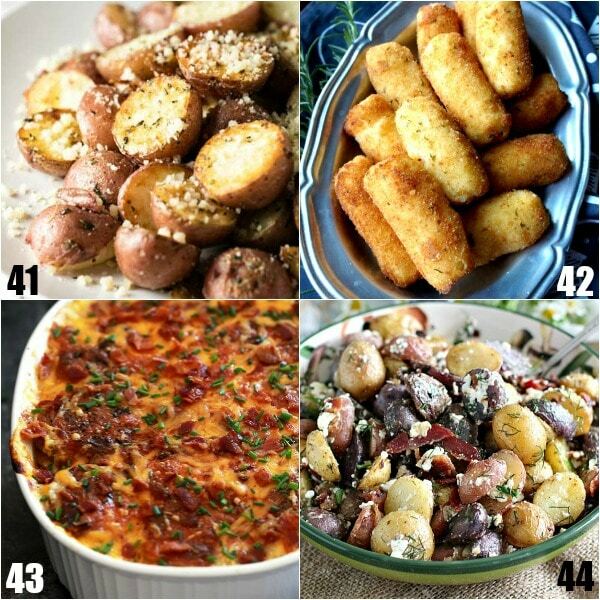 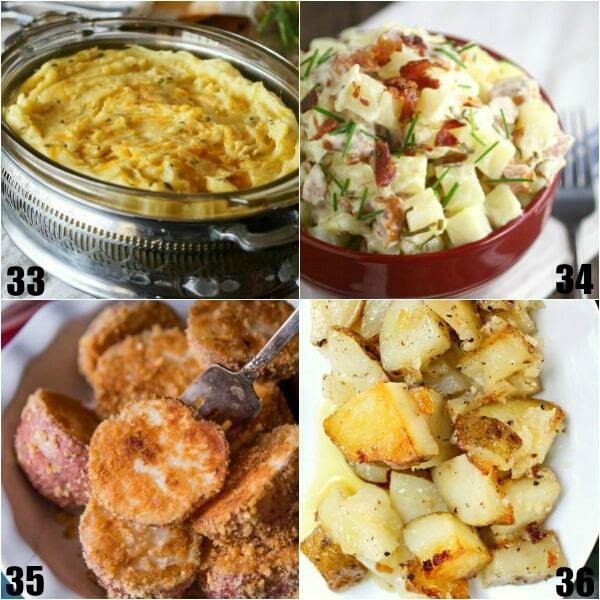 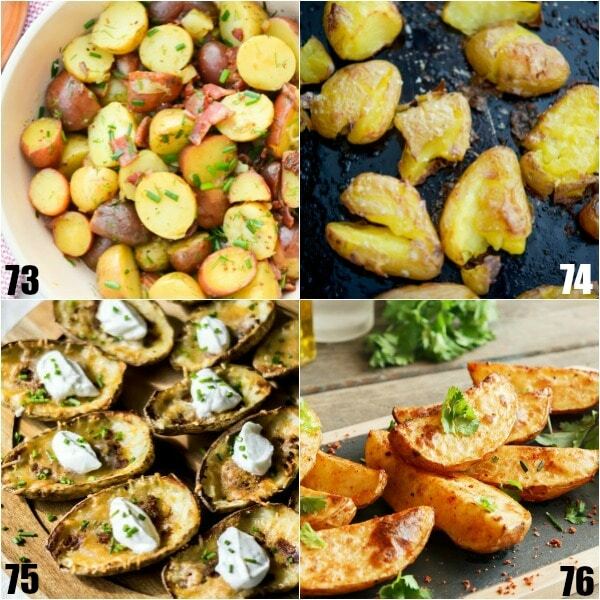 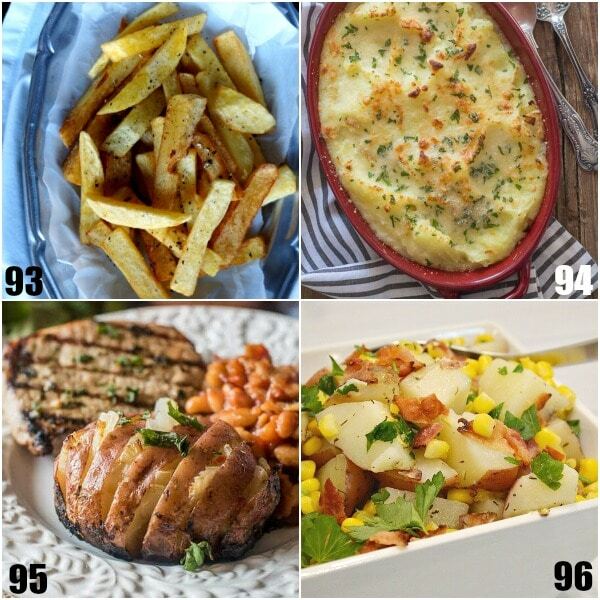 Did you like these 96 Potato Side Dishes recipes? 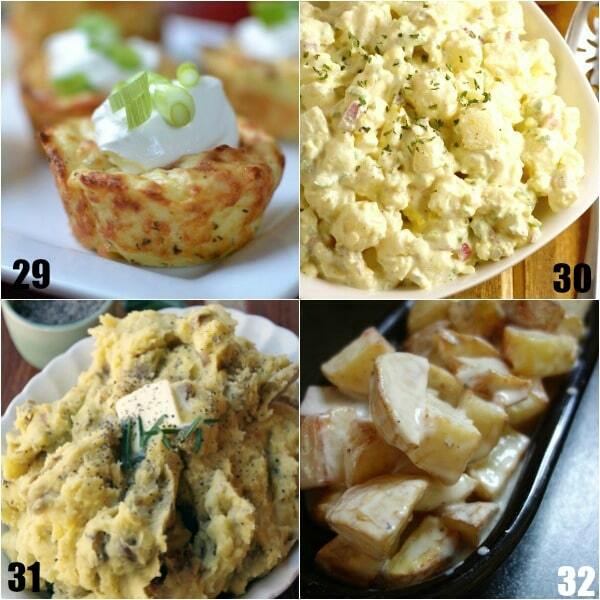 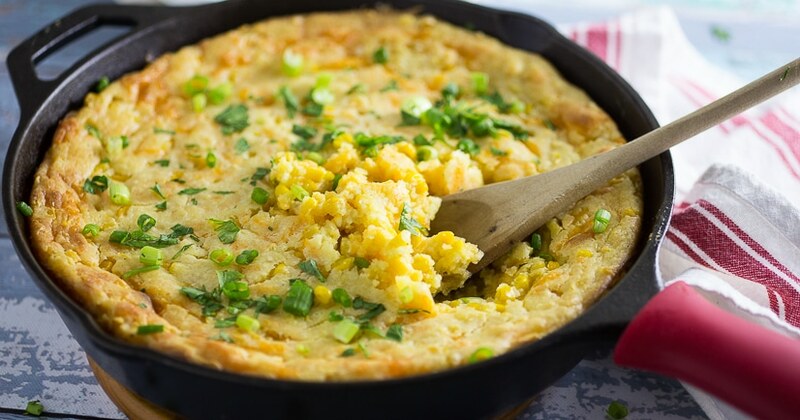 Find more on my Side Dishes board on Pinterest! 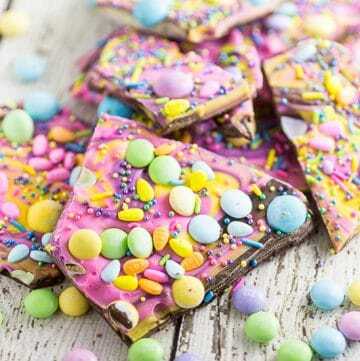 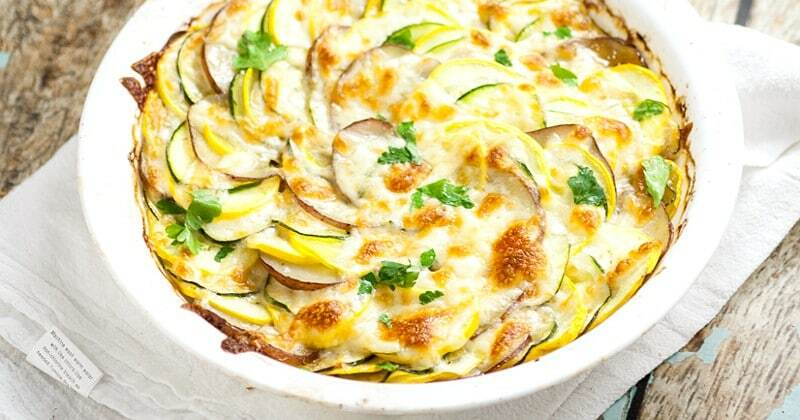 Oh wow – I’m drooling over here! 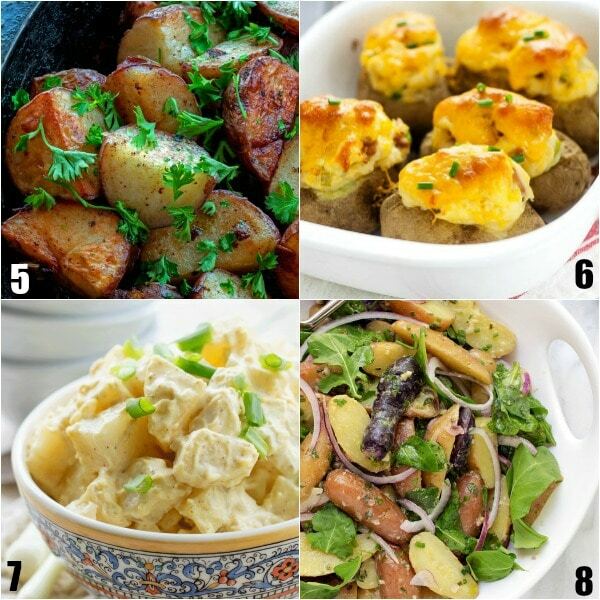 There’s so many delicious potatoes recipes here I can’t decide which one to try first! 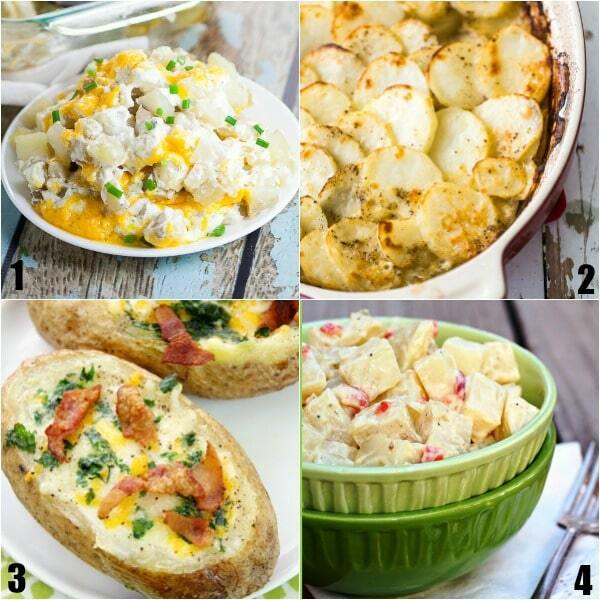 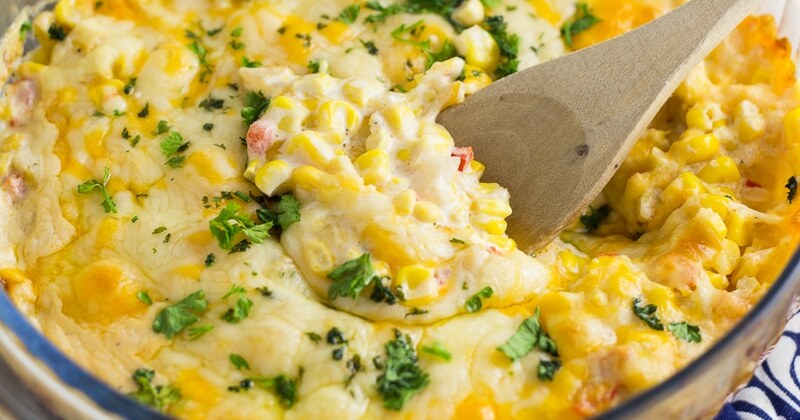 Probably with those smoked gouda scalloped potatoes – yum!